Last night, Orchard Alley hosted the first film of a festival sponsored by the Museum of Reclaimed Urban Space. The name of the film-festival is "I (Heart) NRCHY"! 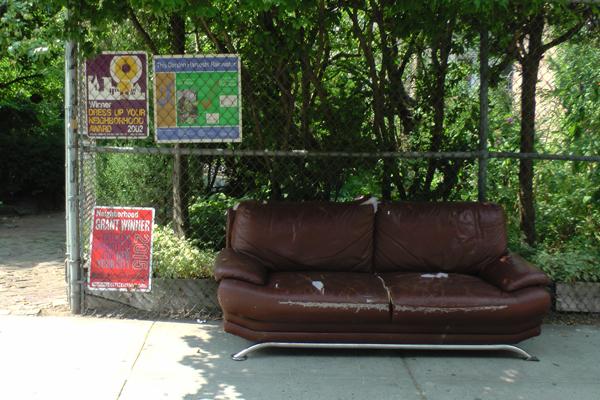 The arrival of this couch couldn't have been timed better — East Village anarchists love found objects! I bet they took it inside the garden and had a front-row seat for the movie!